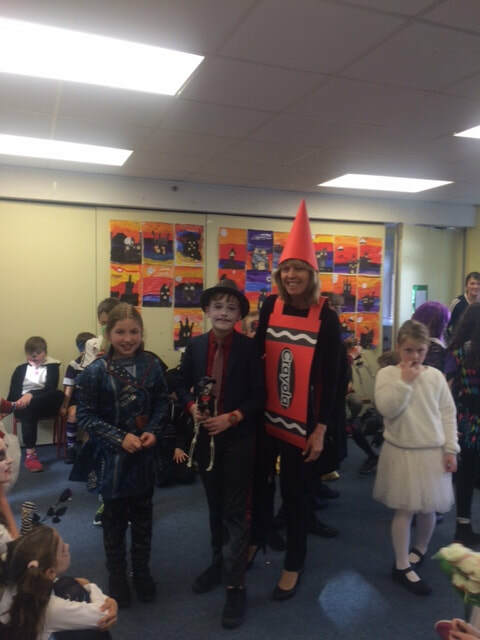 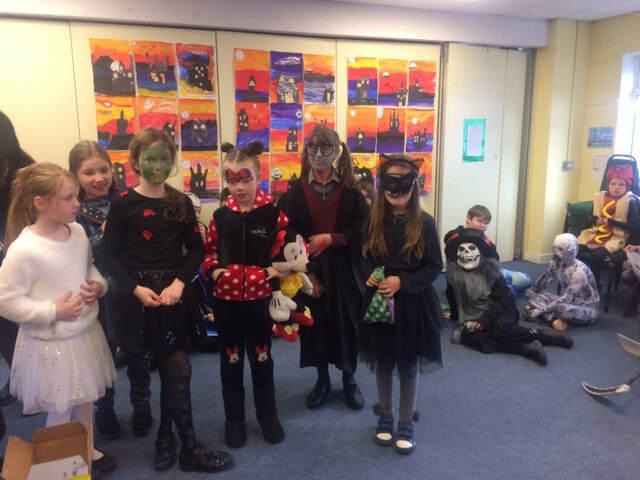 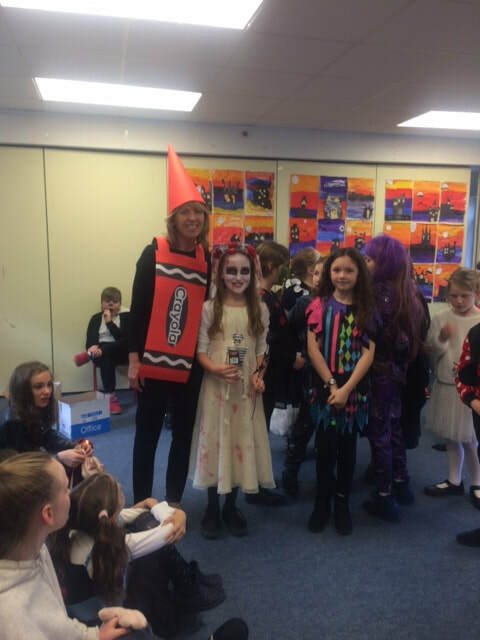 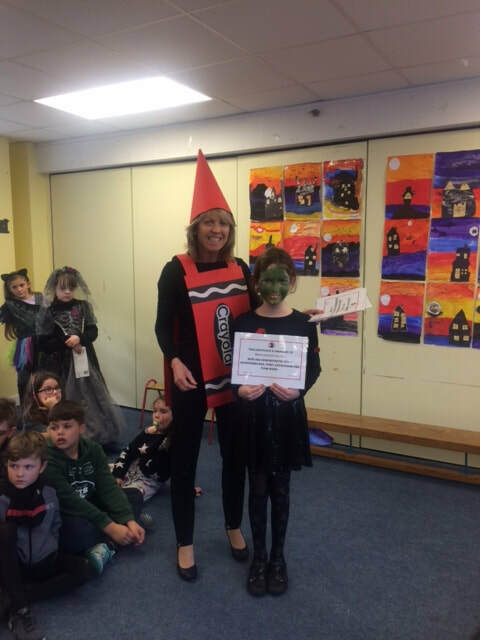 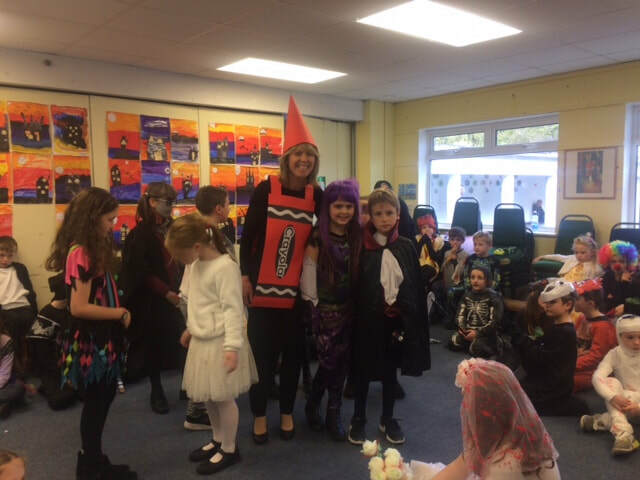 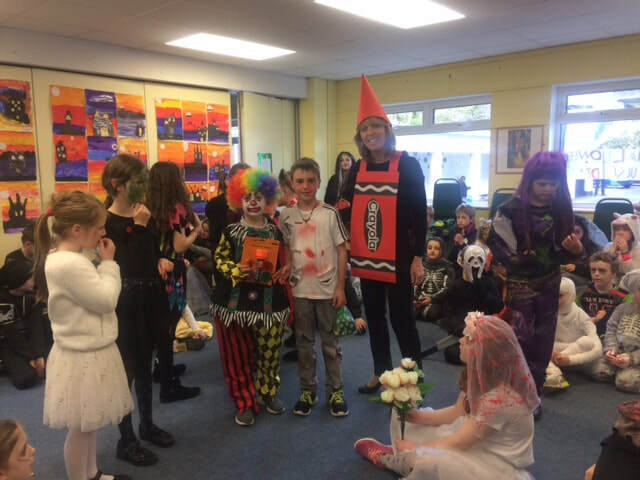 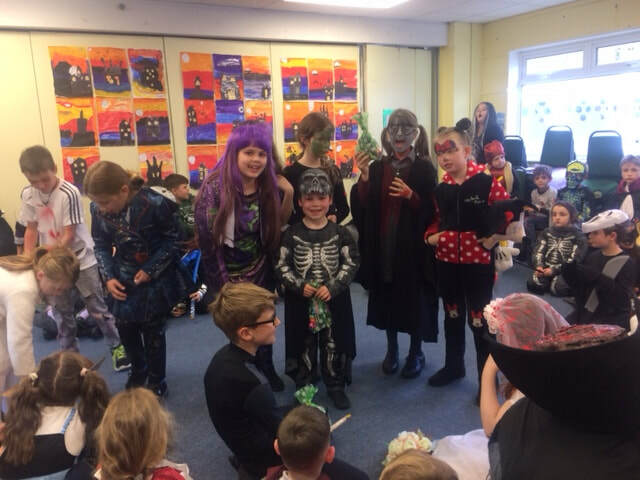 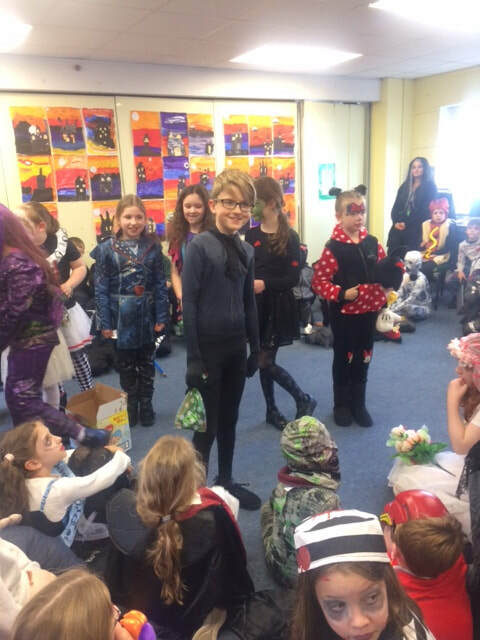 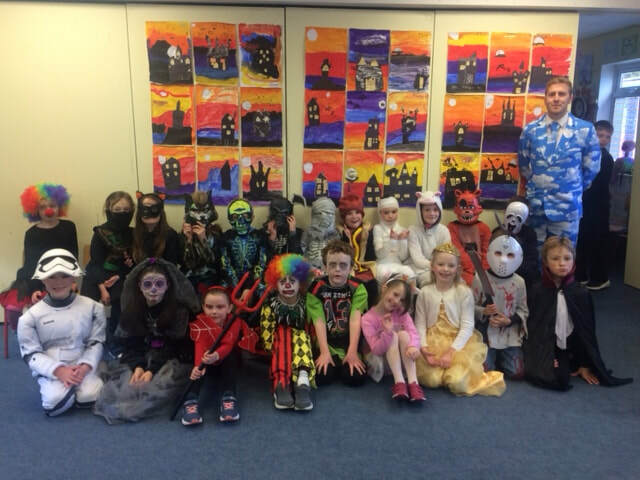 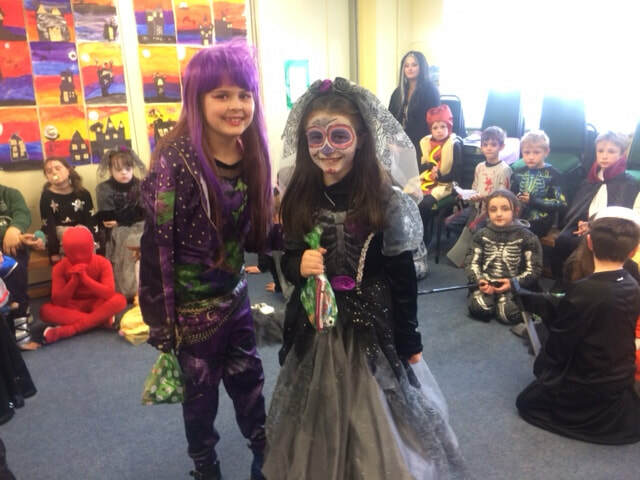 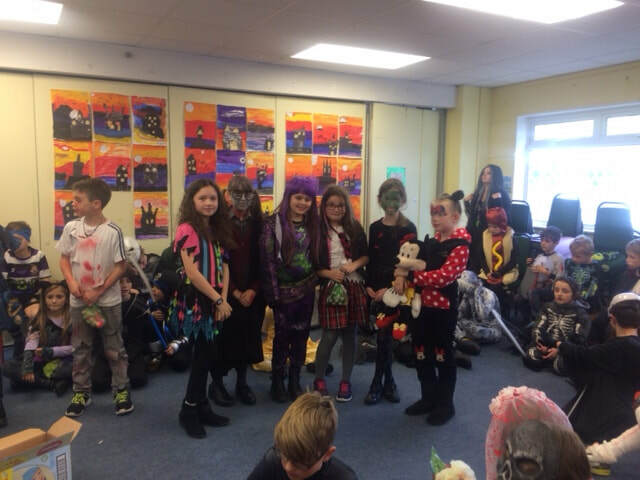 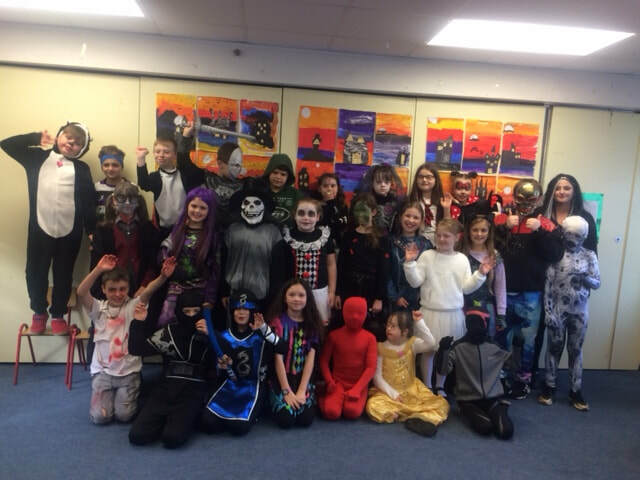 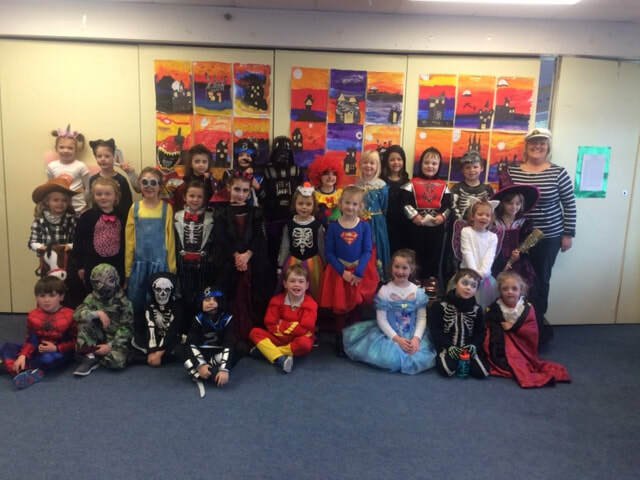 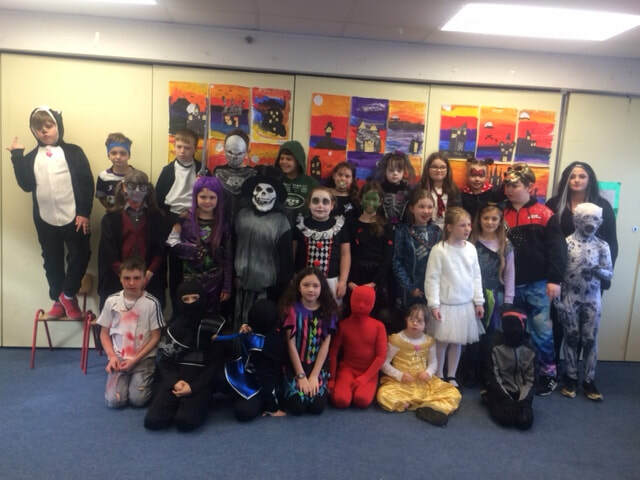 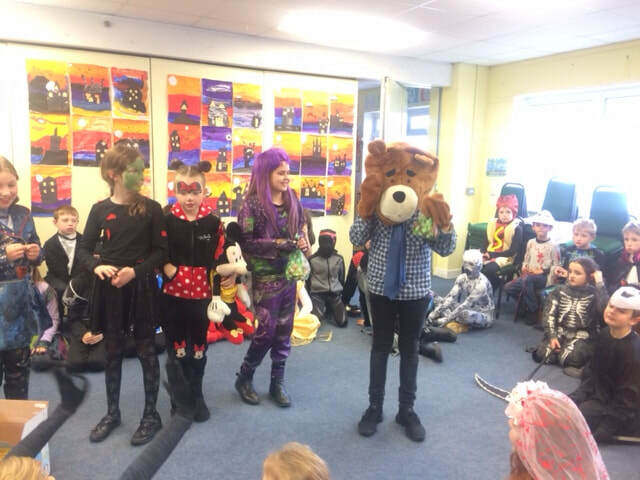 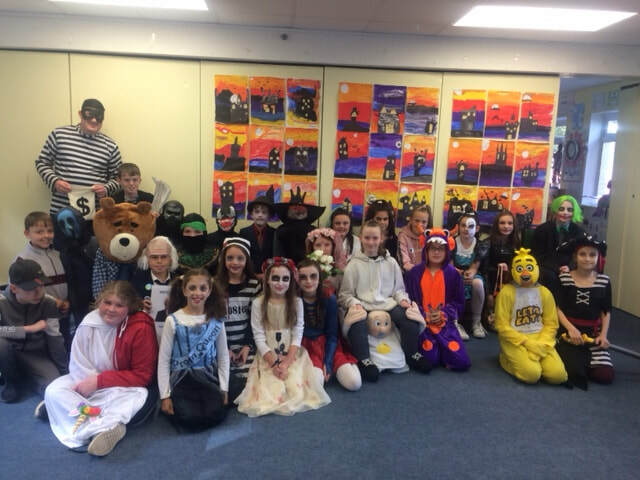 We had great fun during our Hallowe'en parade this year. 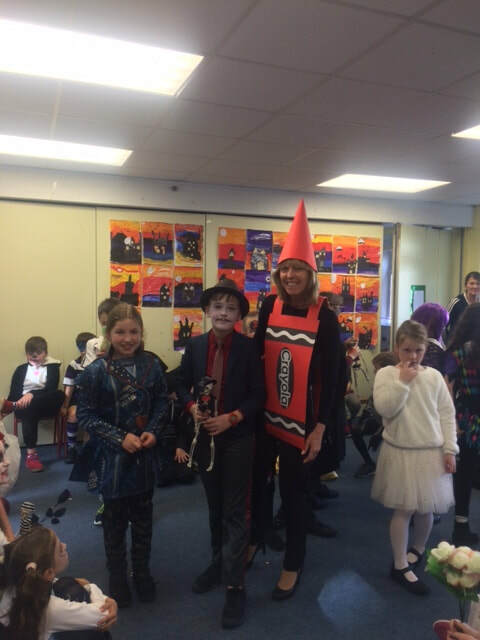 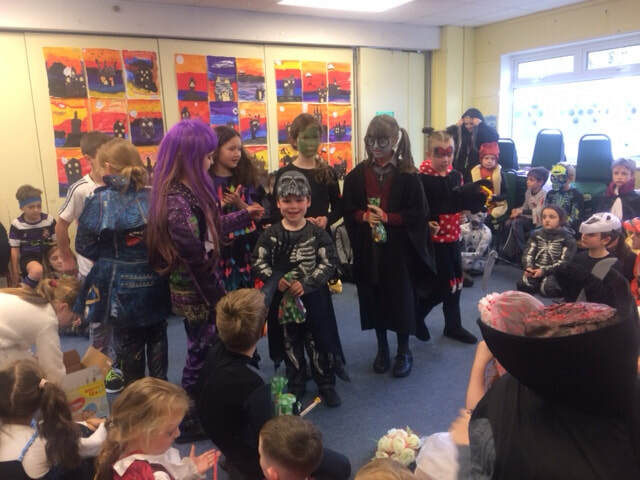 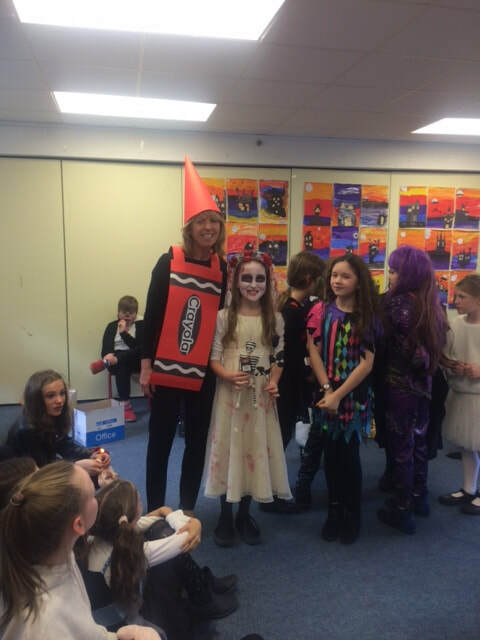 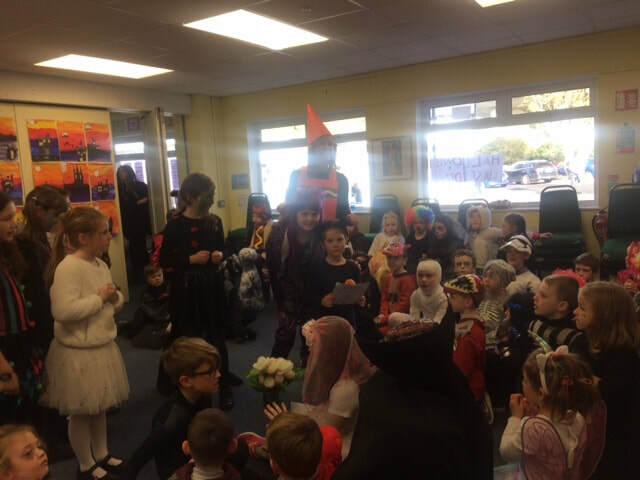 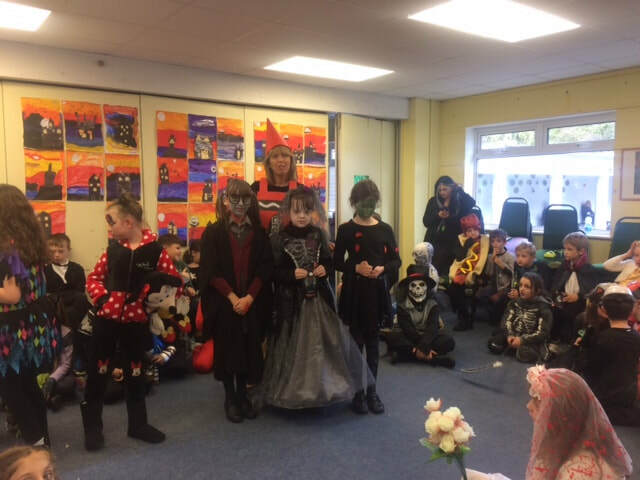 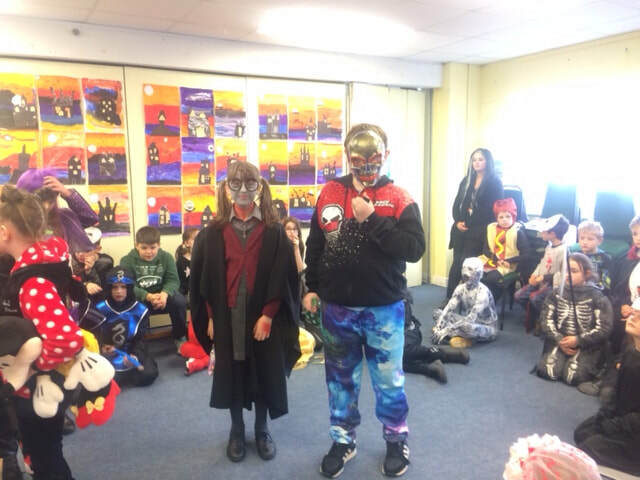 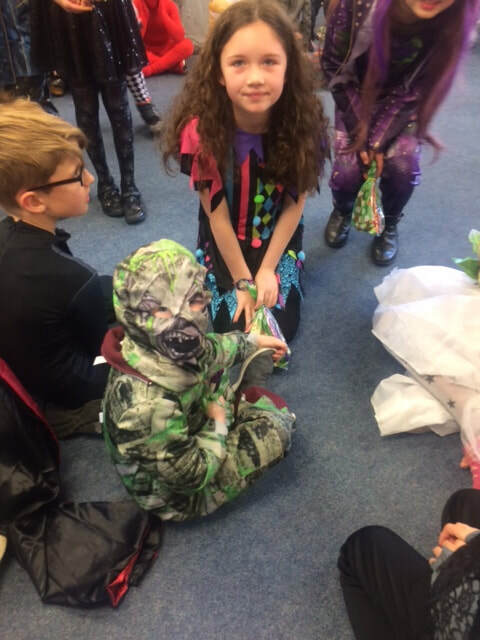 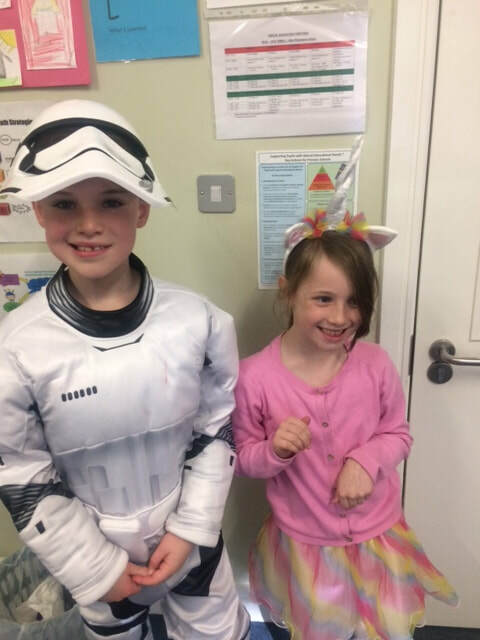 It was hard to recognise lots of the children and their costumes were wonderful. 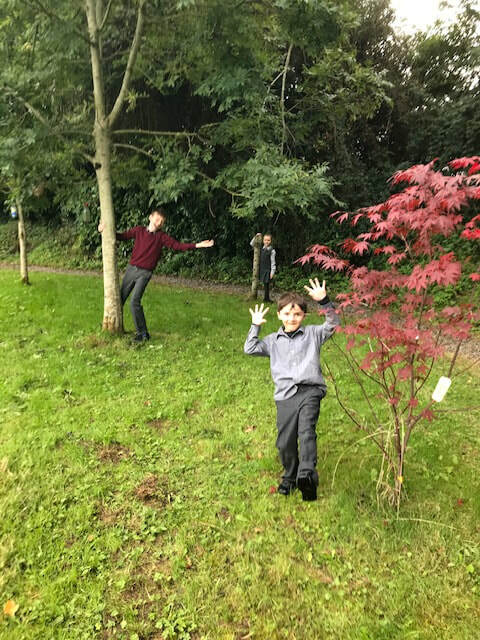 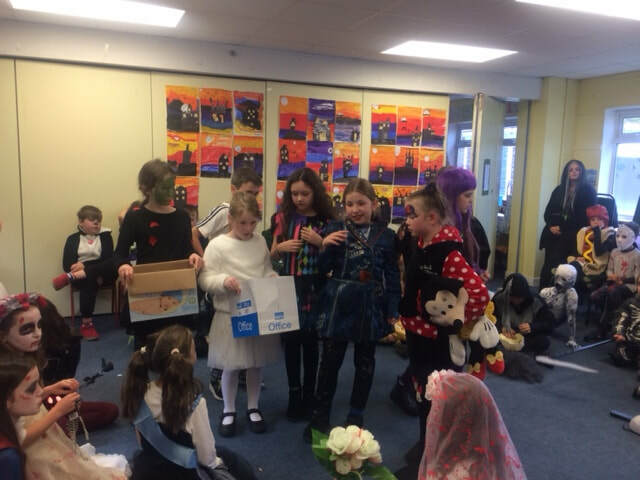 This year, we had some fantastic young entrepreneurs from 3rd and 4th class who asked the rest of the children to bring in €2 in order to get a lucky dip. 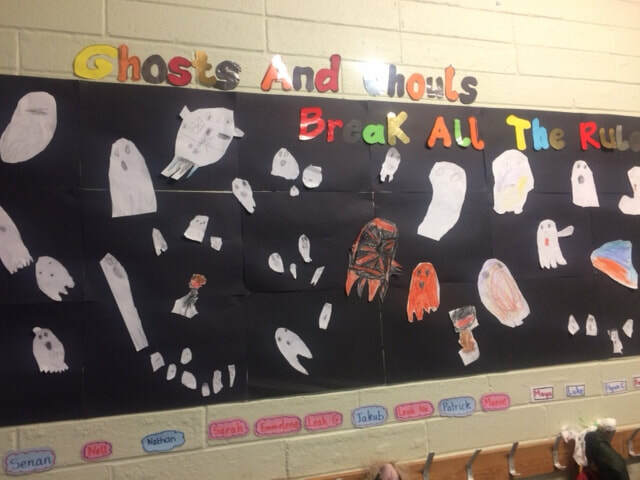 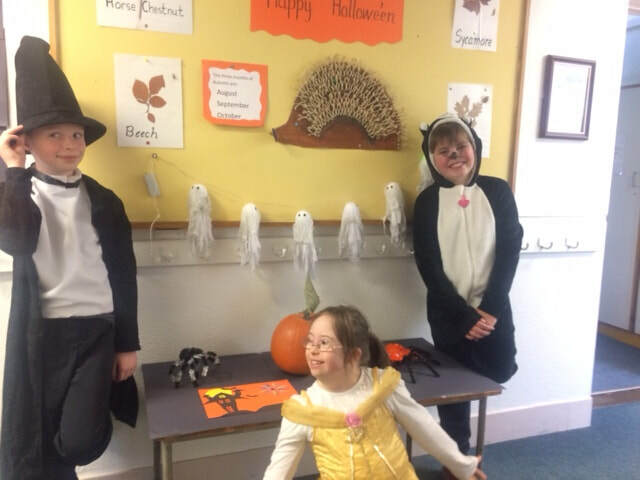 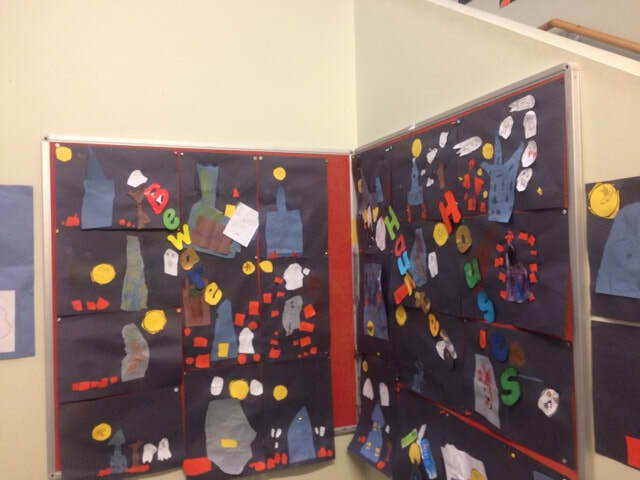 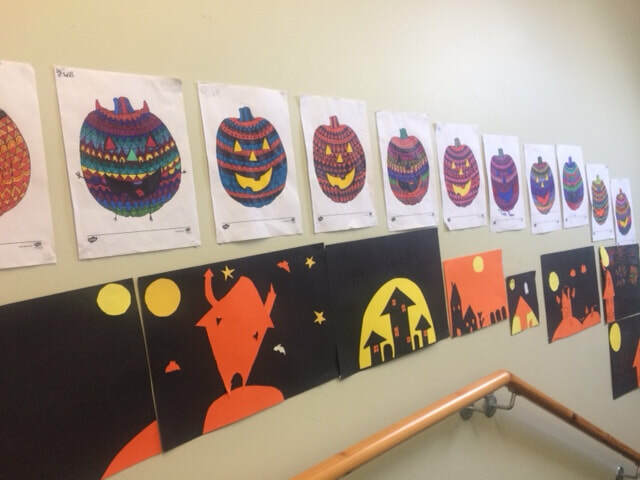 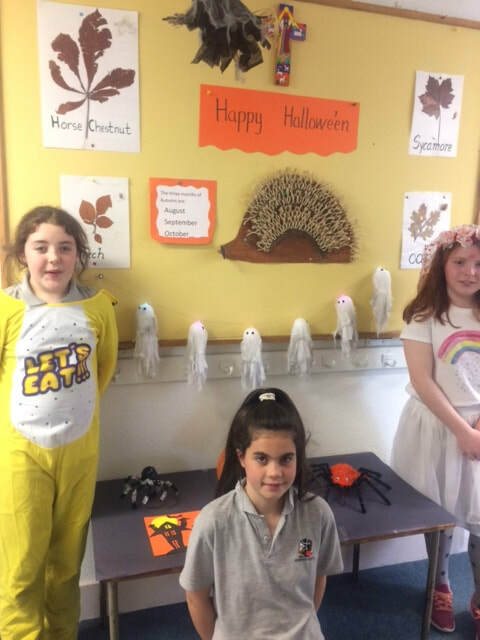 The children worked hard and made fantastic ghosts as prizes. 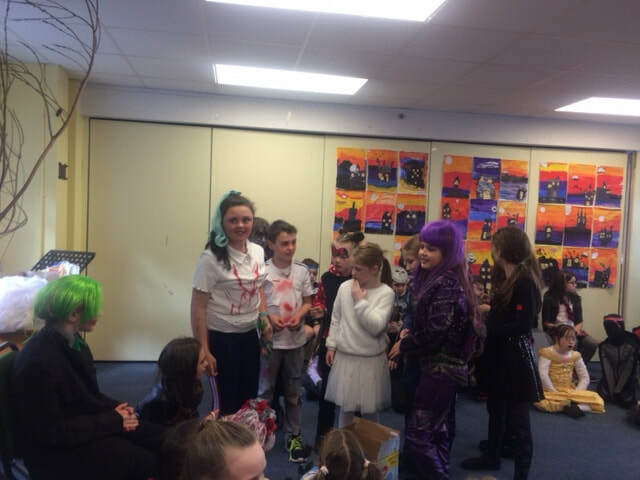 They also had some goodie bags. 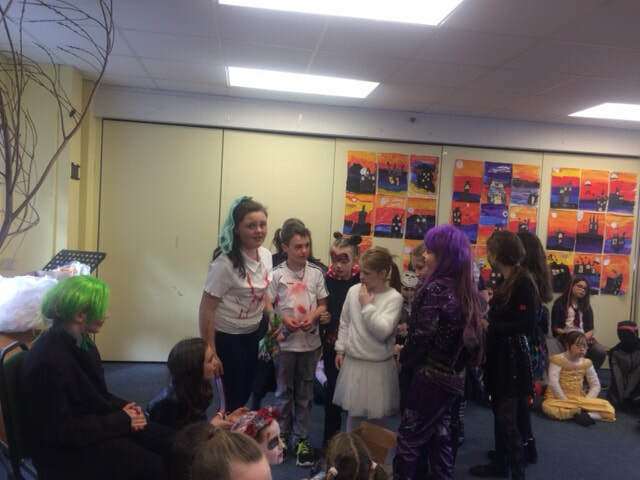 Thanks to Catherine Behan who helped the children make the lucky dips. 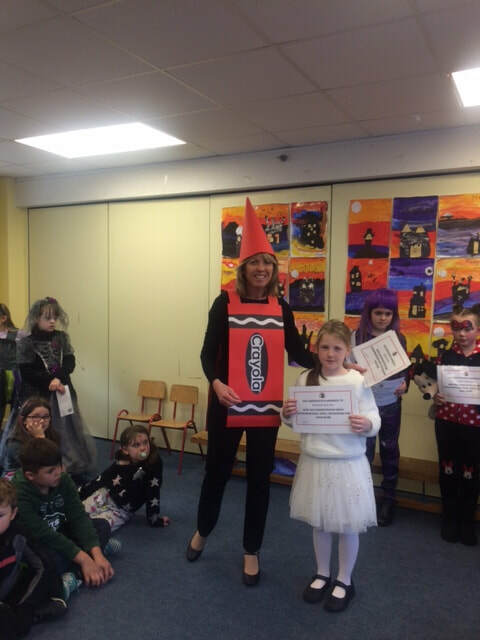 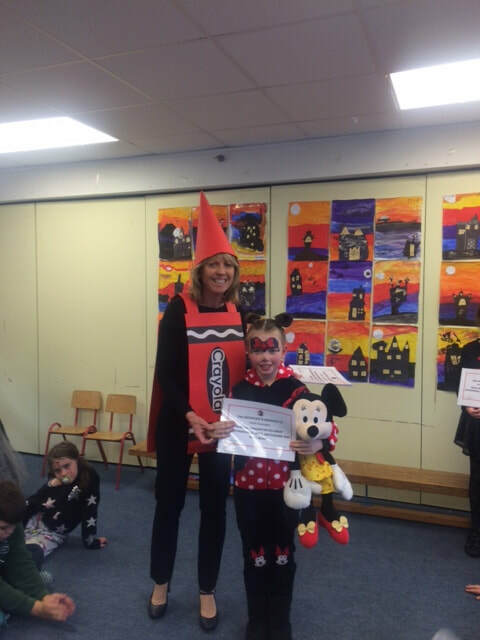 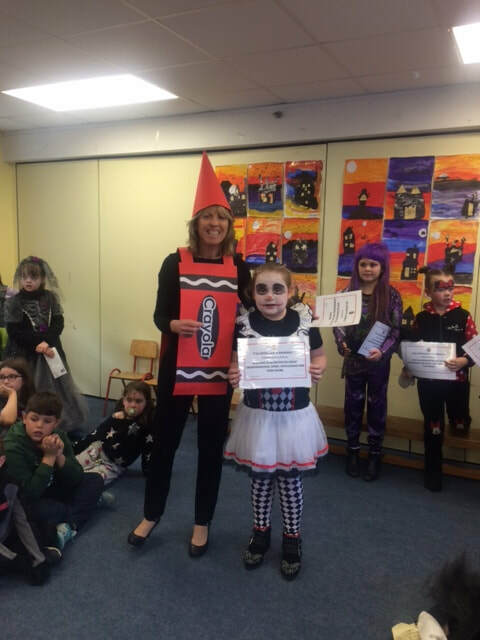 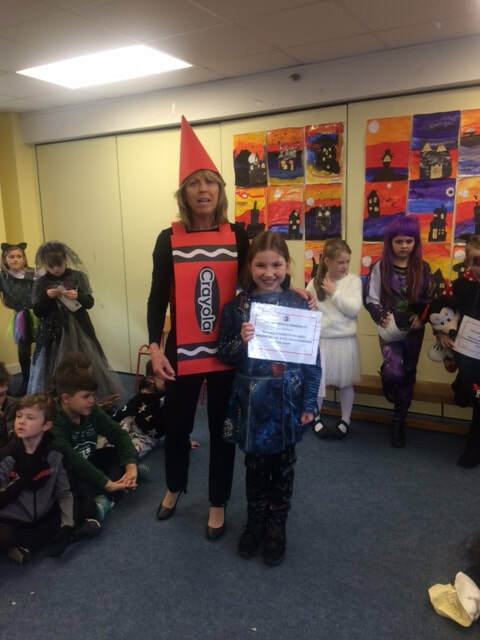 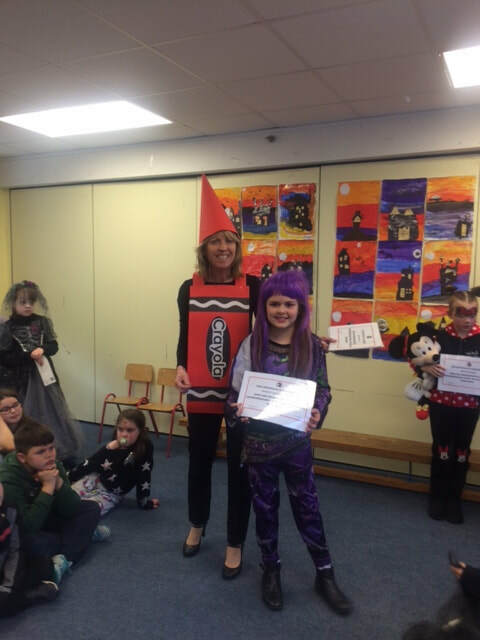 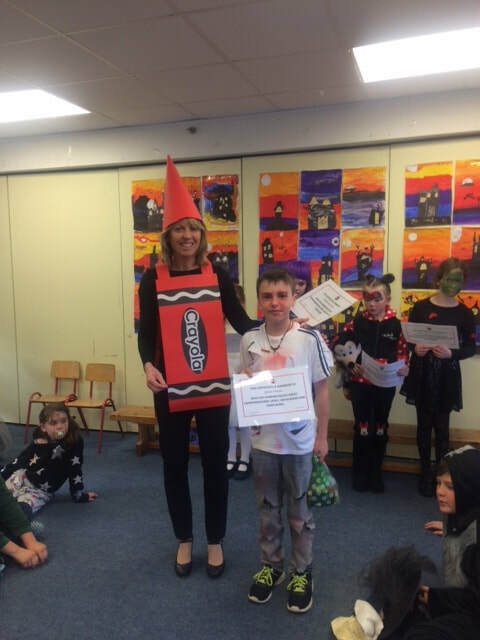 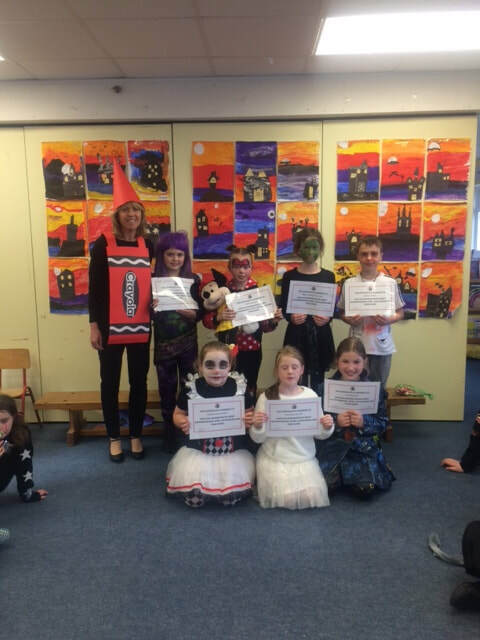 Mrs Cleary presented the children with lovely certificates to mark their teamwork, commitment and entrepreneurship. 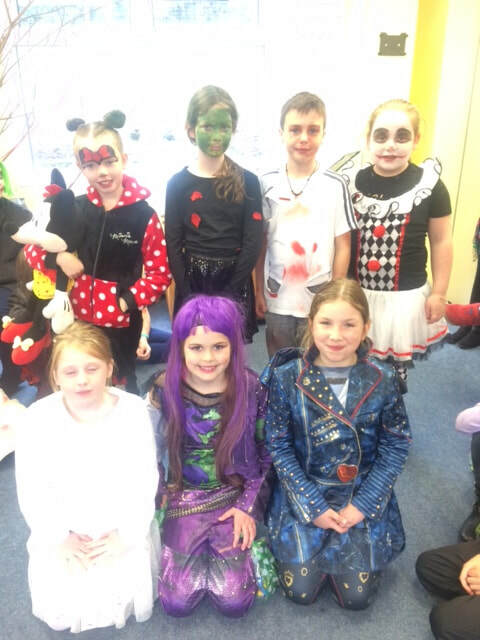 The money raised will go towards playground games which the children will choose. 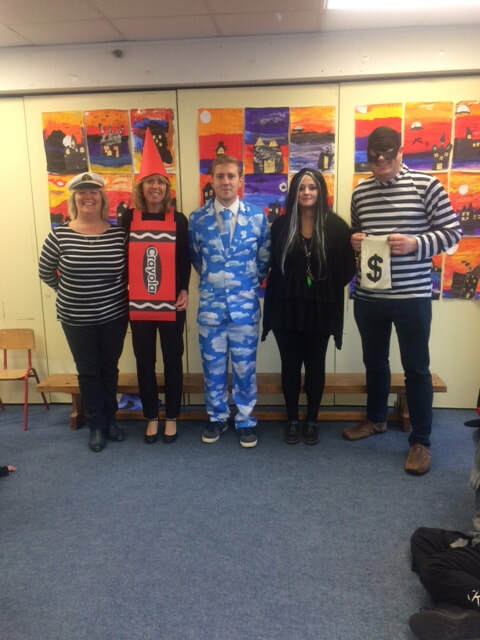 Well done to one and all and don't our teachers look great too!